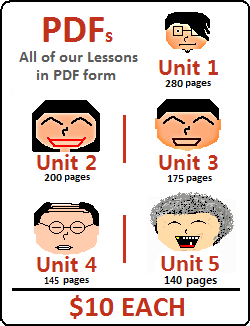 In the previous lesson, you learned some more letters in the Korean alphabet. You also saw some crazy tables that presented some Korean syllables that we made by matching up Korean consonants and vowels. 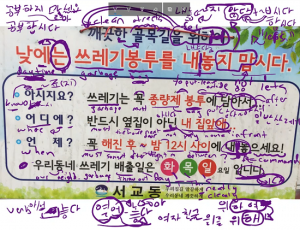 You may have noticed that this page is “wider” than a normal page here at HowtoStudyKorean. Why is it like this? Well, we have an even crazier table to show you in this lesson, and we need all the space we can get. 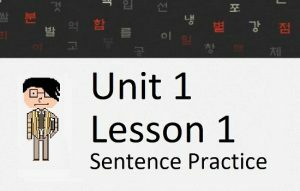 In this final lesson of Unit 0, you will learn the remaining vowels that you will need to be able to read Korean. Most of these letters are called “dipthongs” – which is just a fancy way of saying that there are two vowels in one. After learning these final letters, you will be able to apply these letters to words and start learning simple sentences and grammatical formations. Officially (and historically), the pronunciation of ㅐ is different than ㅔ. Ask a Korean to pronounce them for you, and you will hear two identical sounds. Ask a Korean person if there is a difference in their sounds, they will say that they sound identical. Ask a Korean language teacher to pronounce them, and you will hear two identical sounds. 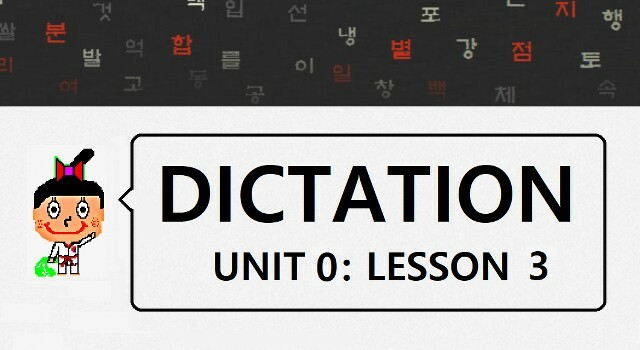 Ask a Korean language teacher if there is a difference in their sounds, they will say that a long time ago there used to be a distinction between the two, but this has disappeared from contemporary Korean pronunciation. For all practical purposes, especially for a foreigner learning Korean, the sounds are identical. (Yes, it’s exactly the same file. As I said, ㅐ and ㅔ sound exactly the same). Aside from “의,” you would rarely, if ever, hear those syllables in Korean. I showed them to my wife to record, and she couldn’t even wrap her head around how to pronounce the syllables “븨, 즤, 듸, 긔, 싀, 늬.” You can hear this in the recording, and also hear her laugh a little bit at the end. I discuss the pronunciation of ㅢ more deeply in the Pronunciation Lesson of this Unit. In this lesson, you learned 15 more vowels that you can use on top of the 6 other vowels and 19 consonants you learned previously. The following table will show you all of the Korean consonants and vowels, and how they can pair up to form syllables without the use of a third consonant. Keep in mind that, as you move towards the right of this table (specifically the bottom right), the constructions become less and less common. Also keep in mind that (almost) every one of the examples shown below could also be matched up with a final consonant. Only a crazy man would want to see all of those possibilities. Again, the whole point of showing you this table is just so you can be familiar with formation of syllables – and in no way do I recommend memorizing them. If the vowel being used in these cases is horizontally aligned, (ㅡ, ㅜ,ㅗ, ㅠ, ㅛ),the syllable looks like the structure on the left. If the vowel being used is vertically aligned (ㅣ, ㅓ, ㅏ, ㅕ, ㅑ), the syllable looks like the structure on the right. In either case though, notice that the third consonant simply gets placed beside the second consonant. While technically possible to use more complicated vowels (ㅝ, ㅘ, ㅢ, etc…) I can’t think of any words that actually have syllables with a third consonant and a complicated vowel. The only reason I say “technically possible” is because the computer allows me to type these syllables. So, while technically possible, they are either not used or very rarely used. Most of the time, when a word has a fourth letter, the vowels are one of the following: ㅣ, ㅡ, ㅓ, ㅏ, ㅗ, ㅜ. Pronouncing syllables that contain this fourth letter is slightly more complicated. The pronunciation of these syllables with this fourth letter is different depending on if the upcoming syllable starts with a vowel or a consonant. Explaining this is beyond the scope of this lesson, but will be discussed in the Pronunciation Lesson of this Unit. Also note that this “fourth letter” does not refer to the complicated vowels (ㅘ, ㅝ, ㅐ, ㅚ, ㅞ, etc…). These letters should be thought of as one letter. 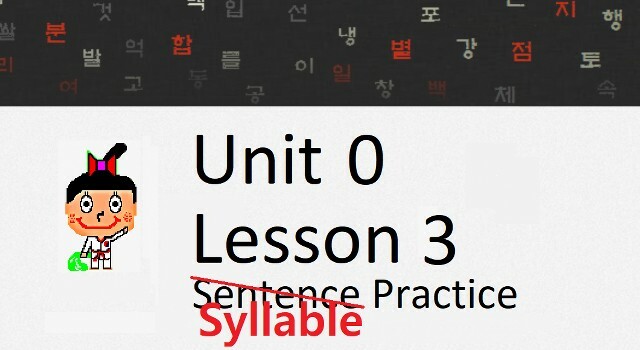 Therefore, if you see the syllable: “관” – there are only three letters: ㄱ + ㅘ + ㄴ. The “fourth letter” refers to the addition of a third consonant. Also, the “double” consonants you learned in the previous lesson (ㅆ, ㄲ, ㅃ, ㄸ) should also be thought of as one letter. Therefore, if you see the syllable: “있” – there are only three letters: ㅇ + ㅣ + ㅆ. A fourth letter will never be added on to a double consonant. That’s it! You’re finished! Congratulations, you can now read Korean! Why not try making some more syllables now that you know all of the letters in the Korean alphabet. The more you practice, the faster you will be able to recognize the letters later on. Keep in mind, Korean sound structure is vastly different from English, so sometimes these Korean words sound weird compared to their English counterpart. Eventually you will come to terms with the Korean pronunciation, it just takes practice. 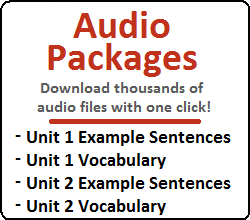 If you want to learn some tips on pronunciation, check out our Pronunciation Guide.